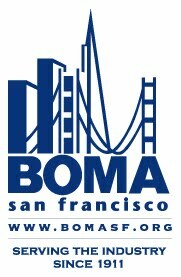 AB 1103 mandated ALL buildings must be benchmarked regardless of size or use; AB 802 states that buildings 50K s.f. and above must be benchmarked and allows the Energy Commission some discretion to exempt certain building types and situations (i.e. the CEC could decide that long-term empty buildings or buildings scheduled for razing need not be benchmarked). AB 1103 was a transaction based program – benchmarking was triggered by a sale/lease of whole building/refinance. The transaction based approach had many unintended consequences such as requiring actively managed buildings to be benchmarked more often than buildings that are not; put an unnecessary technical process in the middle of a real estate transaction; and required benchmarking be provided to parties that were not making management decisions (i.e. lenders); AB 802 allows the CEC to determine the best trigger for benchmarking – that could be transaction based or time certain (i.e. once every two years). Under AB 1103 many building owners were unable to get tenant energy information from local utilities; AB 802 clarifies that utilities are required to provide information; in an aggregated format if there are privacy concerns in multi-tenant buildings. Although some building owners are currently having trouble accessing this information from some utilities the law is clear that owners do not need to get permission from tenants and/or utilities for these purposes. AB 1103 treated income producing properties separately by only focusing on commercial; AB 802 – with the support of the Apartment industry - includes certain multi-family housing properties. With a few exceptions, if you have a building that is 50K s.f. or more you need to benchmark it annually using Energy Star and report numbers to the Energy Commission. Our industry has worked with policymakers and regulators all along the process to provide input that will hopefully make compliance for a vast majority of our members relatively simple. However, we know some situations may not go smoothly or may present unique questions that require more information. Below are links that we hope will help. Detailed information about the Building Energy Benchmarking Program including fact sheets and frequently asked questions are on the CEC's benchmarking website. We hope that one or all of these resources can help those companies that are having trouble implementing the law. For additional information or questions, please contact the Benchmarking Hotline at (855)279-6460 or Benchmarking@energy.ca.gov. Sponsored by BOMA California and signed into law by Governor Brown in July, this bill updates the state’s commercial/retail abandoned property laws by increasing the threshold amount needed to trigger an official disposition (auction) process. The new threshold is now $2,500 or an amount equal to one month’s rent for the premises the tenant occupied, whichever is greater. Under current law, a commercial property owner/manager is obligated to go through an expensive public notification and auction when a business moves out and leaves behind unwanted items, believed to be $750 or more in value or the equivalent of $1 per square foot of the rental for the property, whichever is less. If a company moves out of a leased space and purposefully abandons property (i.e. old shelving, a few desks and chairs, or obsolete computer equipment) that low threshold is very easily met and triggers an expensive auction process for a relatively small amount of money on items that were unwanted to begin with. Due to AB 2173, state law now better reflects the practical realities in the commercial real estate industry by setting a new commercial threshold. This proposed new threshold amount more appropriately aligns with the actual costs of storage and disposal of abandoned property in commercial real estate. AB 2173 (Santiago; D-Los Angeles) Governor’s Signature Press Release and Click here to read the text of the new law. Sponsored by BOMA California and signed into law by Governor Brown in July, this bill continues the effort to separate commercial from residential sections in statute where it does not make sense to have them intermingled. AB 2847 clarifies that current Civil Code §1951.3 pertains to residential real estate only and creates a new section mirroring it to deal with commercial/retail. This fix was needed as the statute provided certain obligations/protections for residential owners/tenants without parallel in commercial context. The current section requires that when property is deemed “abandoned” the property owner must wait until the fifteenth of the following month to start the Notice of Abandonment. This waiting period does not make sense on the commercial side as there are strict contractual obligations guiding property leases. This bill clarifies that the residential and commercial sections are not comingled which may lead to further reform in the future. AB 2847 (Rubio; D-Baldwin Park) Governor’s Signature Press Release and click here to read the text of the new law.